A parliamentary report of 1777 listed parish workhouses operating at Cuckfield (accommodation for 60 inmates), Ardingly (20), Bolney (15), Cowfold (15), Horsted Keynes (60), Hurstpierpoint (25), Lindfield (32), New Timber (9) and Slaugham (24). A house known as Beadles on Ockendon Lane in Cuckfield was once used as a local workhouse. 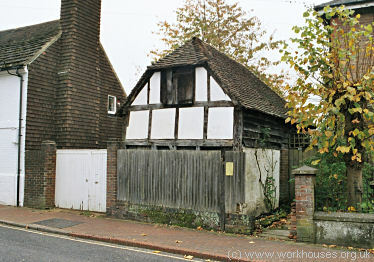 Cuckfield former parish poorhouse, 2004. A small building on the High Street in Lindfield once served as the parish workhouse or poorhouse. 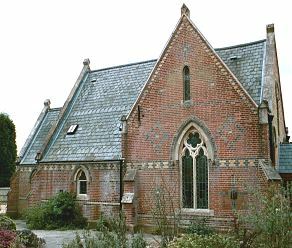 Lindfield former parish poorhouse, 2004. 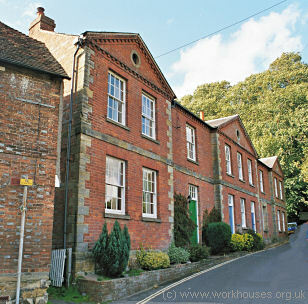 A workhouse is also said to have operated at Old Place, Lindfield. 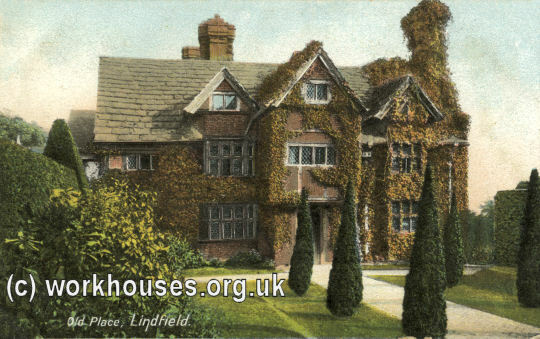 Former Old Place workhouse, Lindfield, c.1905. Couty of Sussex: Albourn, Ardingley, Balcombe, Bolney, Clayton, Cowfold, Cuckfield (2), Horstead Keynes, Hurst-Perpoint (2), Keymer, Lindfield (2), New-Timber, Piecombe, Slaugham, Twineham. Later Addition: Hayward's Heath (from 1894). The population falling within the union at the 1831 census had been 12,017 — ranging from New-Timber (population 198) to Cuckfield itself (2,586). The average annual poor-rate expenditure for the period 1831-34 had been £17,139 or £1.8s.6d per head of the population. Initially, the new Cuckfield Union continued to use existing premises for the enlargement of which the Poor Law Commissioners an expenditure of £1,375 in 1837. In 1843 a new building was erected to the west of the Ardingley Road. It was designed by SO Foden in collaboration with Assistant Poor Law Commissioner HW Parker. This partnership was also responsible for workhouse designs at Aylesbury, Rye, and Highworth and Swindon. The site location and layout of the Cuckfield building can be seen on the 1909 map below. Foden and Parker objected to the prison-like appearance of earlier workhouses. Their own designs placed yards for the old and for children in front of the main building and surrounded them by open fences rather than by high walls. Cuckfield workhouse from the east, c.1909. The entrance to the workhouse was flanked by a lodge to the east and vagrants' accommodation to the west. Cuckfield workhouse entrance and vagrants' wards from the south-east, 2001. The main workhouse building was a substantial three-storey structure in which accommodation wards were placed 'back-to-back' at the front and back of the building. Cuckfield workhouse from the south-east, 2001. A small chapel in gothic style, designed by GW Booth of Gosport, was built to the west of the main building in 1858. Cuckfield workhouse from the north-east, 2001. A separate infirmary block was added at the north of the workhouse by 1877, and a further one to its north in 1890. 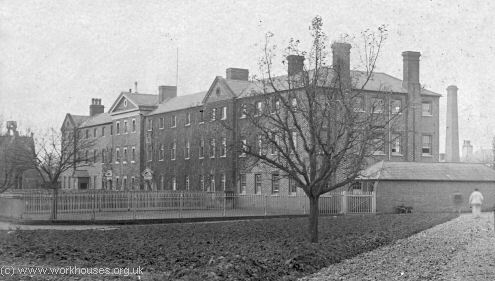 The workhouse later became Cuckfield Hospital. The surviving buildings have now been redeveloped for residential use. West Sussex Record Office, County Hall, Chichester, West Sussex PO19 1RN. Holdings include Guardians' minutes (1836-1930); Births (1914-1944); Deaths (1914-49); Indoor relief lists (1921-29); Creed registers (1901-30); etc.